The military ouster of elected Egyptian President Mohamed Morsi was cheered by some anti-Islamists as a repudiation of Morsi’s autocratic rule and his Muslim Brotherhood. But the coup could further radicalize the region’s Islamists with dangerous implications for the U.S. and the world, says ex-CIA analyst Paul R. Pillar. 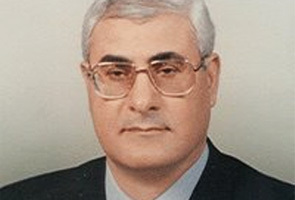 Egypt’s interim President Adli Mansour. U.S. military aid to Egypt, however, provides some leverage over the generals. That leverage ought to be used to encourage a prompt return to a democratic process, which would not be telling Egyptians what sort of government they ought to have but instead would be help in enabling Egyptians to determine themselves what sort of government they should have. Existing U.S. law providing for suspension of military aid after a coup ought to make the exertion of such leverage easier. As someone who watches Egyptian tv and is familiar with these hosts, I can tell you that these are people who have always been anti-Morsi. No surprise that they’d be happy, so what’s the point? Doesn’t negate Mr.Pillar’s point. I am not certain if Mr. Pillar is a knee jerker or a tear jerker when it comes to the defense of Muslins. his opinions to the public. The military acted within the authority of the constitution which was approved by Morsi when elected. Can you look into that crystal ball and tell us whether Mr. Mansour will become a despot or perhaps maybe his successor will? That’s the problem with arguments like yours, it’s the equivalent of a political bill of attainder. Morsi is bad, Hitler was bad, ergo Morsi is Hitler! Perhaps persons should be deposed for what they actually did, not what you think they might do. Egypt, with its scant history of democracy, has suffered a coup and a setback. I only hope that the blowback is not a percolating civil war. . . I think deposing Morsi would not have been worth that. If this was a “coup”, so was Honduras. Funny. Some blogger elsewhere commented, “I’m sick of the Obama administration calling this a coup”. Oddly enough, that’s the one thing they haven’t called it. Calling it that might necessitate coming to the aid of the democratically elected government. We saw the same lack of resolve to swiftly support the ouster of Mubarak. One article states that the Egyptian military controls 21% of the economy. Another says 40%. That the Egyptian army is on good terms with the U.S. would seem to be confirmed by the five hundred or so of them attend U.S. military training programs annually. And that $1.8 billion in aid goes a long way to sweetening the alliance. With a thousand American tanks and hundreds of American fighter jets, they have plenty of toys to protect their legitimacy. That unemployment, quality of life and economic despair have contributed to this is a given. The army, with its economic clout, hasn’t done anything to ameliorate that. Morsi, meanwhile, bought into the Western economic bankster bailout strategy promulgated by the IMF (Imposition of Misery through Fraudulent loans?) guaranteed to undermine his own legitimacy. Too bad Morsi attended a rally in which the Islamists he supports called for Jihad against Syria’s Assad. That may have tipped off the Army, as their senior leadership have recently called the Islamists “fools and terrorists”. Coincidentally, that’s the same thing Assad calls them. Now that the Army controls the situation, it remains to be seen how far they’ll be willing to go to subsidize food, fuel, freedom and financial solvency. Unemployment can be addressed by creating jobsâ€¦or eliminating 200,000 from the job market, a la Algeria. Simple, right? At any rate, some seem to have forgotten that between 1958 and 1961, Egypt was called “The United Arab Republic”, when it was amalgamated with Syria as a combined political entity. If the goal in the U.S. is to undermine Assad, this doesn’t look good. If the goal is to promote Democracy, who’s to say the Islamists won’t win again? Granted, some of them have probably been herded off to Mubarak’s old torture chambers, but probably not enough to significantly dampen their political clout. Kerry is busy with shuttle diplomacy chasing a fanciful delusion that Israel will participate in a peace process. King Playstation in Jordan is polishing his role as the landlord of an ammo dump. Meanwhile, back in Taksim Square, folks are still pissed that cannibals, terrorists and arms smugglers have been recipients of Erdogan’s hospitality. Even the Chinese have claimed that the Free Syrian Army (which is neither free nor Syrian) have been exporting terrorists to their soil. But, the Army sides with the people, right?. True, just like the people, they’re about 50% secular and 50% “other”. Is there a foreign policy term for total chaos? I’m waiting to hear Jay Carney say, “The situation is very fluid. We’re following developments closely”.